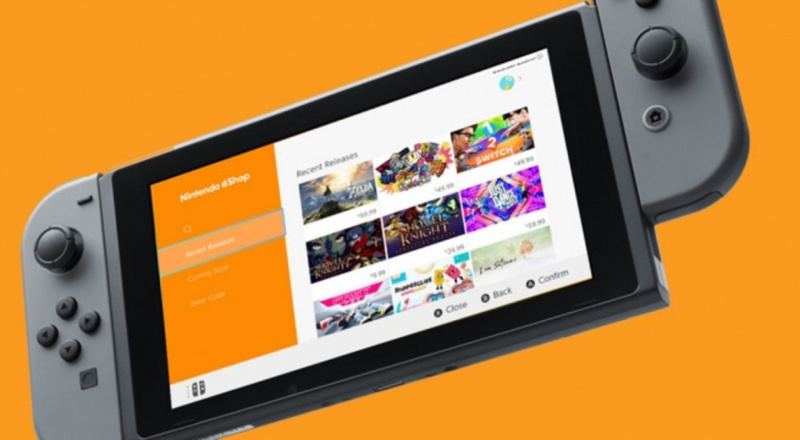 2017 was a fantastic year for digital titles on Switch; developers have been praising the system left, right, and centre for generating impressive sales, and consumers have had a wonderful variety of options to choose from for their gaming needs. Nintendo has now released lists revealing the top performing digital-only games for last year in both Japan, and the west, allowing us to see which titles left the biggest impression on our hearts - and our wallets. 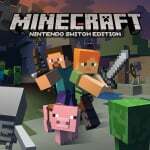 While titles such as Minecraft and Snipperclips performed well in both categories, there are some very clear differences between the two. You can see the lists in full below. Are you surprised by any of the games featured in these lists, or were you perhaps expecting any others to appear in their place? As ever, feel free to share your thoughts in the comments below. 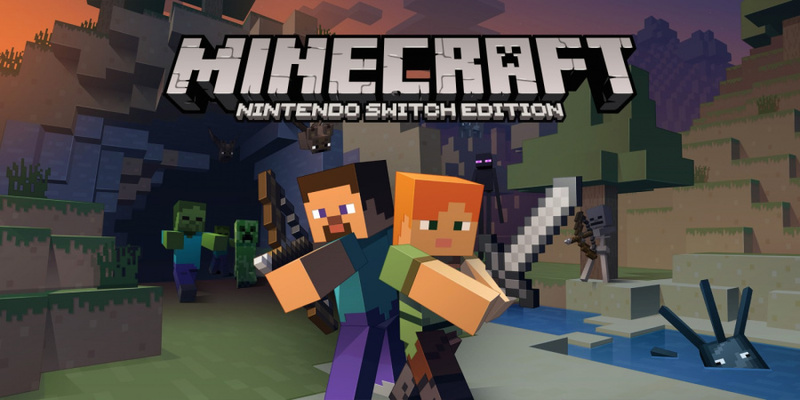 Wow, Japan eating up minecraft. The only E-shop game i downloaded was Portal Knights, because i can't wait to play that game on Switch while waiting the Physical cartridge released on February 2018. Once i got the cart, i will play it Physically as my ritual. not surprised at the al conquering stardew valley! it has taken over my life! Has Stardew Valley not been released in Japan? It’s such a perfect game on the Switch. It’s locked in a heated battle with Mario Odyssey and Splatoon for my attention. Now a Stardew Labo tie in... now there’s an idea. @AlbertXi yeah I loved Golf Story! Fantastic game. Surprised it didn't break the top 30. @SomeWriter13 @AlbertXi The WW list is about the games that also are released in Japan. Golf Story isn't released in Japan yet. Same with Blossom Tales and Thimbleweed Park. 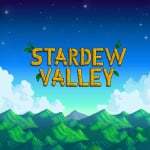 @Roarsome Stardew Valley was released in Japan the last week of 2017. There are definitely some surprises in those lists. Some pretty average games which are higher than I'd expect with some really good digital only games nowhere in sight. Wow loads of deserving titles up there. I'm glad Steamworld Dig 2 made it into the top 10! And Kamiko did wayyy better than I expected- I really need to give it a try. @Bunkerneath The source is NCL, so of the viewpoint is Japan in this report. Senran kagura doing great in Japan. Arcade Archives NEOGEO: VS Super Mario Bros.? Picross S is a surprise for worldwide. I have it, love it, but it needed more content. I'm a little surprised not to see big hitters. Were they excluded or did people only buy physical copies? @1UP_MARIO Guessing half of those are westerners buying with their Japanese account. I have to say I'm surprised Golf Story didn't at least break into the top 30. @jariw Do we know how well Stardew has been performing in Japan? @Kalmaro Oh yeah, it's crazy popular here. Largely because Japan was late to the game with the Minecraft craze. For those in the west, we've had it for almost 8 years now. In Japan it is much more recent, having gained popularity in the last couple years with the Vita, iOS and now Switch and 3DS releases. Kamiko was great for what you spent on it. I think it was a fiver, or there abouts? I remember enjoying it though, great value Props to Stardew and Sonic Mania too, both awesome games I've enjoyed. Bring on 2018! @Dizzard It only very recently released on the Japanese eshop. For some unknown reason. By recently, I mean like last month. They did push it with a few posts on the news thread on the Switch, but it hasn't had nearly as much time to catch on. The article claims that the titles in the lists are “DIGITAL-ONLY”. 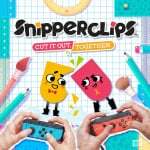 Forgive my ignorance but “Snipperclips: cut it out together” is also on cartridge therefore should not be in that list. E: Nothing that interest enough that have not already, though. @Hotfusion Snipperclips was digital only, until they recently released the game plus DLC under a slightly different title as a physical release. Big congrats to the Stardew Valley devs. I also did not expect Minecraft to be on top in Japan. But it's nice to see that Microsoft has some success over there. @Hotfusion No, the retail release is called "Snipperclips: Cut it Out Together Plus", the standard release is still digital-only. @Hotfusion digital sales from eshop. The cartridge has the expansion dlc. Wow...pretty surprising. I would have thought at least one AAA Nintendo game would have made the list. No SMO, BOTW, Arms, or Splatoon 2. As many have said already I'm surprised Golf Story didn't make the list. Also congrats to Stardew Valley, Rocket League and Fast RMX. Three of my favorite digital games and quite high up too! Lovers in a dangerous space-time should be on the list too IMO but I guess it didn't make an impact like Overcooked even thogh they are similar. Oh, Thanks. No wonder I was confused. I only bought it on cartridge a couple or so weeks ago and I knew it was released as a launch title. Thanks again for clearing that up. Super happy for Fast RMX. They always on top of their game with updates. People should check it out. A total blast. Can't wait to see what Flipping death, BattleChasers and Hollow Knight do on Switch. @Zimon ahh, missed that. Thought it was bought digitally, no digital-only releases. Makes sense then. Thanks. I like seeing the Neo Geo games on that list. Especially Japan. Great showing for Arcade Archives in both territories! KoF '98, Metal Slug 3, and other arcade classics are still popular after all these years. What's amazing is how Vs. Super Mario Bros. jumped right up to 11th in the "Overseas" market, and 8th in Japan, despite only being available within the last 2 weeks of the year! (It was in 1st place when I last checked the NA eShop a couple days ago). Thank you again, HAMSTER and ZeroDiv, for giving us this great portable arcade! @shonenjump86 In Japan, I'm not surprised. Though they must REALLY like Metal Slug 3 over there! There were German figures that I posted in the forums and sent in to the site. If anyone is interested. It's not every day that we get them. Seems Sonic remains more popular in the West. Also glad to see Strikers 1945 ranking in Japan. The high placement of 'VS Super Mario Bros.' in such a short space of time shows how much Virtual Console is wanted! @NintendoLife: Why haven't you mentioned that 'both' lists only include software released in Japan, hence why Golf Story is missing from the overseas chart. Please edit this info in. 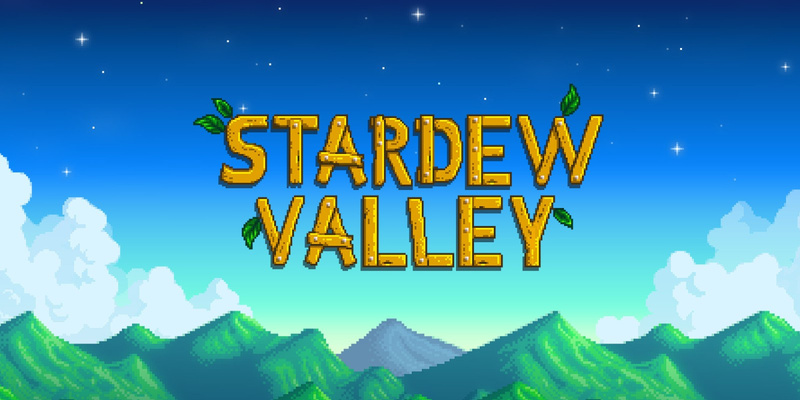 Stardew Valley at #1 in the West? I knee people liked it, but I'm surprised to see it so high up the list. I buy a lot of eshop titles, but I haven't tried that one yet. It looks a bit boring to me. There are some great games missing too like Ittle Dew 2, Axiom Verge, and Golf Story. The boobie feel simulator has a lot of hands on it in Japan apparently. Glad to see that NeoGeo are doing great on eshop, I hope this series keep on giving us both popular and obscure arcade titles throughout Switch’s lifespan! Japan really like their Senran Kagura... just like PSVR's Summer Lesson...what's sold out in Japan is never sold in the West. I bought Stardew Valley recently, I can't say I'm as impressed as I thought I would be, but I always see it in the top 5 on the best sellers section of the eshop so I figured I would give it a go, to be honest, it's a little boring so far, maybe because I'm just starting out. I'm supposed to clear away all the crap outside my house on the farm but run out of stamina almost immediately lol, any advice? I'm sure the game gets more captivating as time goes on. I'm surprised Shinobi Refle: Senran Kagura did so well, and yet there are no plans to bring it to the West. Not that it'd necessarily sell so many copies over here, but it's a strange situation when the political climate makes publishers prepared to leave money on the table. Stardew Valley is ideal for the Switch, I couldn't not buy it, now I can't stop playing it. It's typical that perverted Senran Kagura trash is so far up the Japanese charts. Feel like Minecraft is almost obligatory now, even though I don't play it. Surprised Rocket League isn't #1. Surprised UNO is in there at all. So Japan likes using scissors to cut themselves so they can slide through blocks while groping T&A, whereas Gaijins like getting their hands dirty harvesting blocks while running around at the speed of sound retro style. Japan is never going to live down Senran Kagura outselling Sonic Mania. Resident Evil Revelations 2 doesn't even chart overseas? Shinobi Refle selling nicely in Japan hopefully bodes well for future SK games on Switch. I'd love for it to get the Burst remake that's coming to the PS4. Senran Kagura is #3 in Japan. @AlbertXi I was thinking the exact same thing. Imho Golf Story is the best e-shop game out there right now, certainly the best e-shop exclusive. It's such a fun game, and a real labor of love - you can just tell. I guess alot of people utterly despise golf and/or Earthbound inspired RPGs ... I cannot explain why anyone else would choose Oceanhorn or Mr. Shifty over Golf Story. I mean sure, people have different tastes but still, no ... I don't get it. This list proves that I have a LOT of catching up to do when I get a Switch....XD It is good to see some games I'm considering in the chart. @JudgeMethos it's a list of download only games that don't have a cart. Doom and Skyrim have a cart as well. I hope they are doing well. @Ralek85 To be fair, Mr Shifty is ranked so highly mainly because it released so early in the Switch's life, when there weren't a lot of alternatives for people looking for something to play after Zelda that wasn't a 2D platformer. If it had released at the same time as Golf Story, I like to think it would have been a different story. Glad to see all the Inti Creates games doing so well. But Japan needs to wake up and smell the SteamWorld Dig 2. My favourite eshop release of the year. Great to see Shinobi Refle: Senran Kagura is doing well. Beautiful story. I wish Platinum Train made the list, but I’m not sure if it’s a game you can purchase. Fun game though! I'm very happy to see Human Resource Machine that high in Japan. It's a game about programming, so I suppose it is somewhat to be expected. In any case, I'm glad the list isn't Just Mario World, Mario Bros. 3, Ocarina of Time, Link to the Past, etc etc. No Snakepass or NBA Playground (or whatever it was called), good. Ethos Devs need to do better regarding play control if they was to sell games. Stardew Valley totally deserves it. Great Game! Suprised Rocket League didn't overtake it though. @TheMadPolarBear The physical release has RER1 on cartridge and a download code for 2, which was incredibly cheap on Capcom's part. Oh well. Hopefully it sold well enough for them to port over the Gamecube RE games. I desperately want REmake and 0 on the Switch. @Krull Oh yeah, that's actually a good point for sure! But still, Golf Story has been out a wihle, and it did not make the list at all, despite other games on the list not releasing all that much earlier in the life-cycle. Man. Really sad to see Thimbleweed Park isn't there. Ron Gilbert is absolutely amazing and the game was a nice throwback to the games that I grew up on. I'm sure time has passed the genre by, but man, it was such a fun game to play and wish more people had supported it. right below minecraft?! that puts snipperclips at what — 4 million copies? So crazy that stardew valley beat out Minecraft, good for him! This is why I'm glad that there is no Virtual Console yet. This way other developers take the spotlight. As soon as VC drops silly Nintendo fans will buy Mario Bros., Super Metroid, A Link to the Past for 6th time to play those old games they've already played like 31st times. All while possibly ignoring some amazing indie stuff. It's especially "great" when those people complain about the pricing of some of those indie games... and within the same breath they're going to buy the same Zelda again and again and again. Shinobi Refle: Senran Kagura is third. That sold 50.000+ copies. So Snipperclips sold somewhere around 50.000 and whatever Minecraft sold. I'm definitely surprised by some of the games and placements. It's a bit irksome to see senran kagura so high on the jp list but I'm honestly more surprised at the gulf in placement for sonic mania. It's 22 in Japan in west it's right near the top. Well Senran Kagura seemed to have some really deep and amazing boss fights if the Nintendo Life video was anything to go by. Thumper is on one of the lists though, so that's good. Not even gonna bother wondering how Senran Kagura: Touch Asuka made it to #3 on that list. Glad to see Sonic Mania doing well. @Bunkerneath it's actually a very apt description on how Nintendo proper views their consumer. Japan is #1 and all business decisions are predicated on it and it's market. Everything else is essentially lumped into 'not Japan' and they operate accordingly. So happy for Stardew Valley and Shovel Knight. Those games really deserve it. Axiom Verge not appearing on this list is a real shame though. Also, Levels+ at number 30 in Japan! I might be the only one in the west who feels this way , but I love that game! @Roarsome Stardew Valley was only released last week here. In fact that list can’t be objectively compared since many of the games didn’t release at the same time in all regions and some of them aren’t even available in Japan or the West. I’d like to get stats like this on all titles and where they are placed, mainly want to know about skyrim and doom as I want to see big devs port more games so interested in those numbers in particular or where they are on a list? Glad to see Overcooked has done so well in both markets, but a little bummed that LOVERS In A Dangerous Spacetime is nowhere to be seen. Such a great co-op game, if not one of the best ever. @Kalmaro Because it was heavily advertised. We had Yoiko (of Game Center CX fame) air their adventures on it for more than half a year on weekly basis. @Masurao Wow, I had no idea. @Roarsome I think Stardew valley just came out in Japan. It's definitely a game that should do really well here. Hopefully, Marvelous Entertainment has seen this and understands that a full console version of Story of Seasons would sell on Switch. I’m in the same boat. I’ve walked around a bit, picked up some stuff, villagers say one sentance a day... When does anything start happening? The worldwide list contains only games that were also released in the japanese e-shop. That's why Golf Story is missing. I'm kinda surprised Stardew Valley is not even in the Japan list. It warms my heart to see Stardew Valley do so well. It's my second favorite Switch game so far, even ahead of Super Mario Odyssey. I’m still trying to find enjoyment out of Stardew Valley. I’m finding the beginning pretty boring; I can’t keep my eyes open at night in bed. Here’s hoping it gets WAY better. Also, considering Rocket Leahue launched in November, it probably would’ve been #1 on our list. Graceful Explosion Machine should be higher too. Glad to see Shinobi Refle so high up. Its an awsome game. Not a whisper of DOOM, L.A. Noire, or Skyrim. Oof.